Read our comprehensive Sony Ericsson XPERIA Play review and check out our guide to the best upcoming smartphones in 2011. UPDATE: Optus has just informed us that it has been selling the XPERIA Play since Monday 30 May, which differs to Sony Ericsson's statement that it would be available from 8 June. Sony Ericsson originally announced earlier today that the XPERIA Play would be available through both Telstra and Optus on 8 June, with Optus revealing it will sell the device for $0 on its $79 cap over 24 months from next Wednesday. Telstra has now revealed that the XPERIA Play will be available tomorrow through selected Telstra stores and online for $20 per month on its $79 freedom connect plan over 24 months. The plan includes $800 worth of eligible calls, unlimited standard national text and 2GB of data to use in Australia. The XPERIA Play will also be available to purchase outright through Telstra for $960. Telstra's "flagship stores" will be the first to stock the XPERIA Play, with additional Telstra stores across Australia receiving deliveries by the start of next week. For a full list of flagship Telstra stores, see Telstra's blog post on the XPERIA Play. The Sony Ericsson XPERIA Play features a 4in multitouch display, two touch-sensitive joysticks, a D-pad and four of the PlayStation's famous control buttons; triangle, square, circle and X. The XPERIA Play also has two shoulder buttons in a bid to recreate the full PlayStation gaming experience. 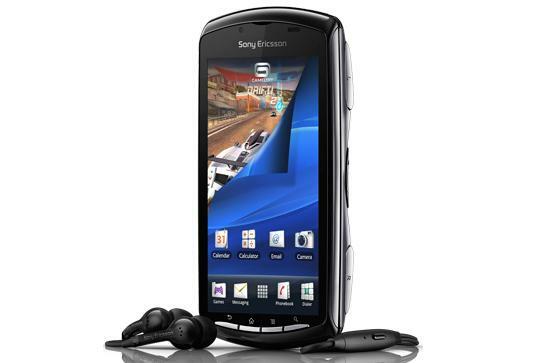 The Australian model of the Sony Ericsson XPERIA Play initially comes with six pre-loaded games: FIFA 10, Bruce Lee — Dragon Warrior, Sims 3, Madden NFL 11, Star Battalion, and Crash Bandicoot.